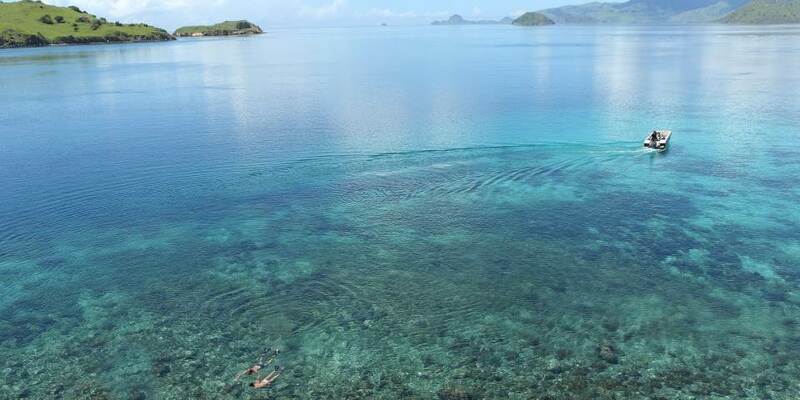 The crystal clear seas surrounding the thousands of islands of Indonesia are home to Alila Purnama which embarks on journeys of discovery sailing the Flores Sea to Komodo Island or the Halmahera Sea to Raja Ampat in West Papua province. 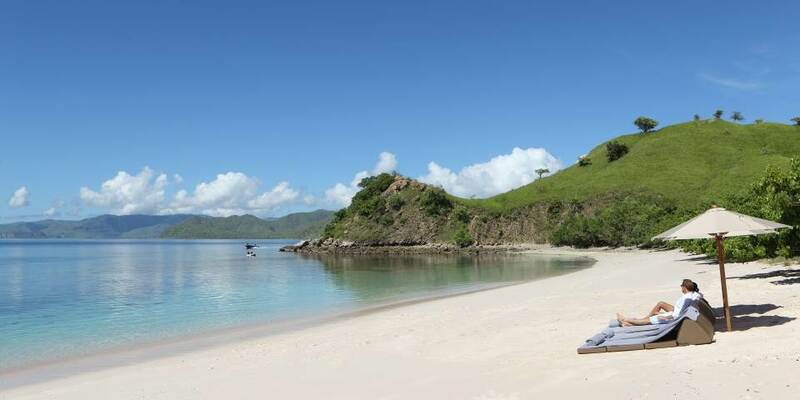 Alila Purnama gives guests the opportunity to journey through some of the most pristine waters on the planet adorned with beautiful coral reefs and teeming with manta and eagle rays, barracuda and other marine life. 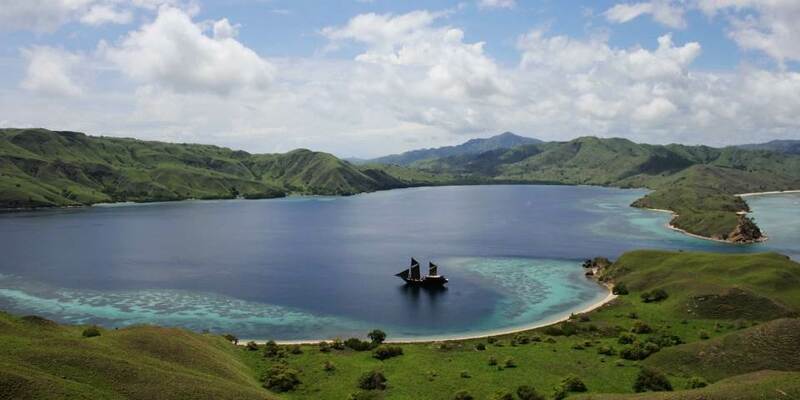 Stunning islands renowned for their flora and fauna, where rare Komodo dragons and exotic birds of paradise live can also be witnessed. 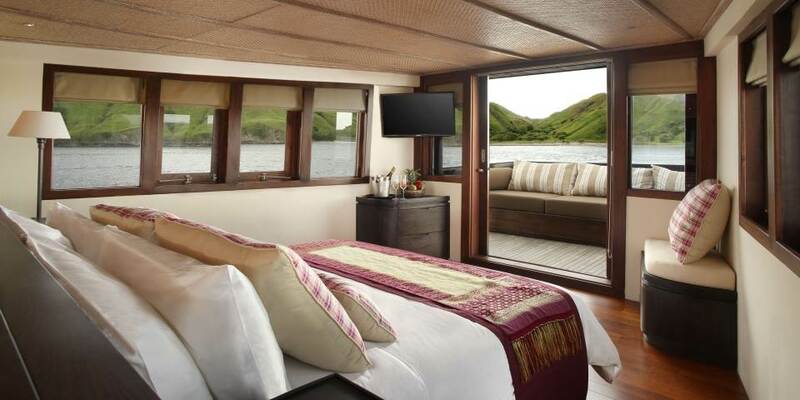 A voyage on Alila Purnama is a magical and unforgettable experience. 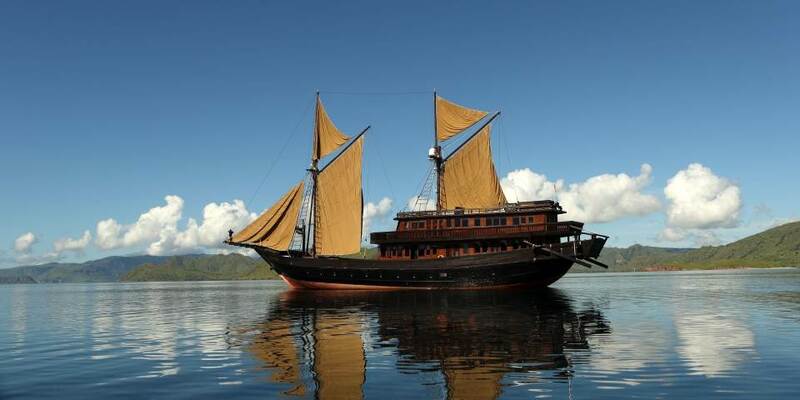 Alila Purnama which means The Full Moon is a beautiful ship that has been handcrafted in the traditional style of a Phinisi as used by seafarers from South Sulawesi. 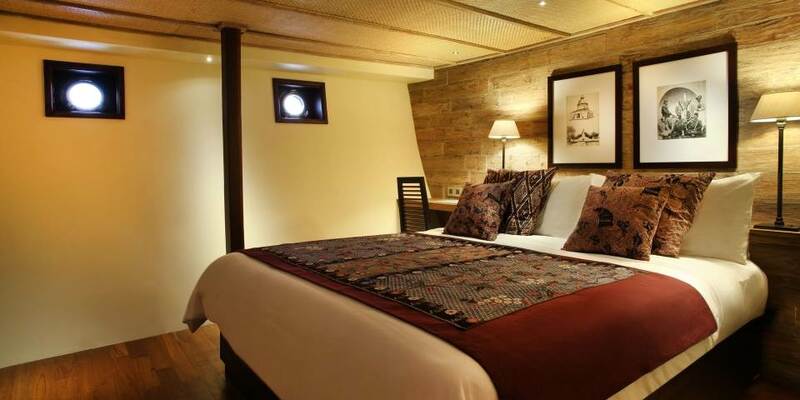 46 metres long and consisting of three decks, materials such as teak and rattan have been sourced locally for the custom made furniture in evidence throughout the ship, putting the emphasis firmly on sustainability and style. Exclusivity is the key with a crew of 16 looking after just five well- appointed suites including the master suite which has large wrap around windows that offer 180 degree views over the incredible landscape. 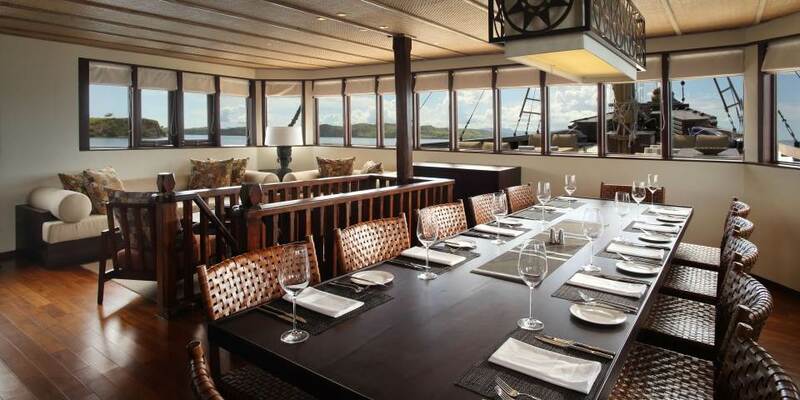 Delicious cuisine is served either in the air conditioned dining room or on the outdoor deck, with guests able to dine at leisure. 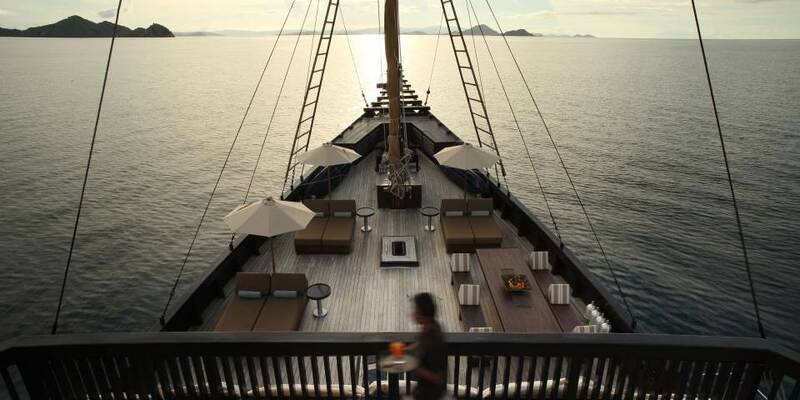 Oversized daybeds which are shaded by umbrellas have been provided on the main outdoor deck; the perfect place to enjoy the sea breezes during the day or night. A library lounge and bar complete the accommodation, while complimentary Wi-Fi enables guests to upload the many photos they will take each day.